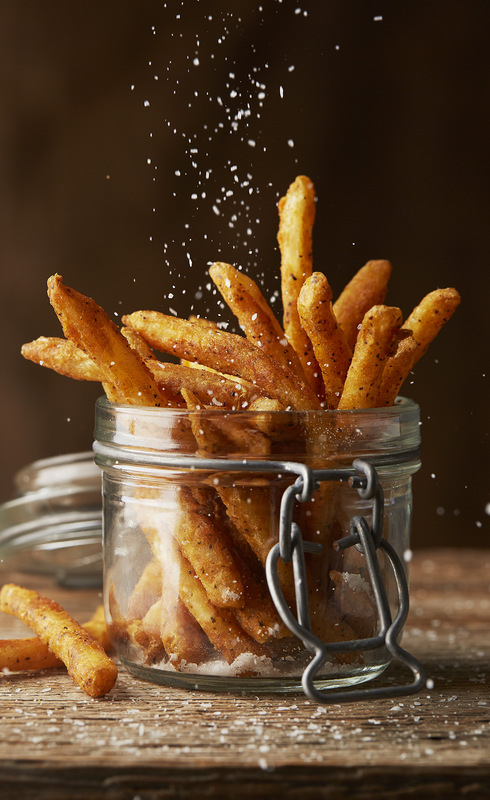 Spicy French Fries in a mason jar. Shooting promo in the studio. Newton Ma.